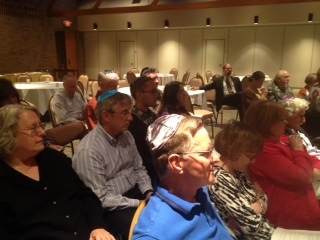 In keeping with our relational focus, Beth Tikvah always welcomes guests and unaffiliated Jews throughout the community. 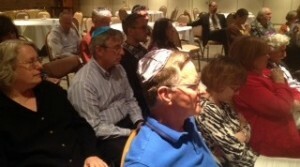 Beth Tikvah guests can click below to sign-up for guest invitations. Invitations allow guests to enter the sanctuary immediately upon arrival and to sit in our guest section at all four major services. Guests should pick up their invitations from the guest section of the will-call box at the first service they attend. Seating is limited and available on a first-come, first-served basis. We strongly encourage a donation to one of our various funds and invite each of our guests to consider joining Beth Tikvah. In light of our limited parking, our Ritual Committee graciously provides shuttle service to and from Beth Tikvah for members and guests that park at the Northwest Church of the Nazarene, where our friends at the church have generously offered use their parking lot for overflow parking and shuttle service. The lot is just south of Beth Tikvah on Olentangy River Road. Sept. 10: 8 a.m. – 1 p.m.
Sept 19: 8 a.m. – 2 p.m.
Congregants are encouraged to leave spaces available in the Beth Tikvah parking lot for those with limited mobility. Beth Tikvah is proud of the variety of options we offer for our youngest congregants. For children in 3rd-6th grades, we offer our children’s services, which offer a more-interactive, less-formal version of traditional service. Junior Congregation Services are held on the morning of the first day of Rosh HaShannah and the morning of Yom Kippur. We also offer High Holy Days activities for children in Pre-K to 2nd grade. These activities are not in the form of the service and are aimed at helping children learn about the holidays through different crafts and activities. Likewise, these High Holy Days activities are only held the morning of the first day of Rosh HaShannah and the morning of Yom Kippur. We also offer babysitting during services on Erev Rosh HaShannah, first day of Rosh HaShannah Morning, Erev Yom Kippur, Yom Kippur Morning and Yom Kippur afternoon. Click here to reserve a space for your child today. Selichot, a Hebrew word meaning “forgiveness,” refers to the special penitential prayers recited by Jews during the High Holy Day season. The Selichot liturgy contains some of the finest Jewish religious poetry ever composed. 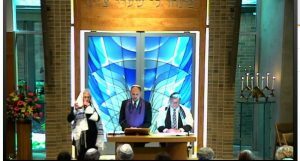 Reform congregations usually observe Selichot on the Saturday night just prior to Rosh HaShanah, a solemn and fitting preparation for ten days of reflection and self-examination. Visit the URJ Selichot page to learn more and download resources. Rosh Hashanah (literally, “Head of the Year”) is the celebration of the Jewish New Year, observed on the first day of the Hebrew month of Tishrei. It marks the beginning of a ten-day period of prayer, self-examination and repentance, culminating on the fast day of Yom Kippur. Special customs observed on Rosh Hashanah include; the sounding of the shofar, using round challah, eating apples and honey (and other sweet foods) for a sweet new year. Visit the URJ’s Rosh HaShanah page to learn more and download resources. Yom Kippur, the “Day of Atonement”, is the annual Jewish observance of fasting, prayer and repentance, considered to be the holiest day in the Jewish calendar. In three separate passages in the Torah, the Jewish people are told, “the tenth day of the seventh month is the Day of Atonement. It shall be a sacred occasion for you: You shall practice self-denial.” (Leviticus 23:27). Fasting is seen as fulfilling this biblical commandment. Visit the URJ’s Yom Kippur page to learn more and download resources. For questions about service dates and times, please look at our calendar page.